Last week, Sarah compared Walt Whitman to Avraham, whose “expansiveness” as a figure and founder of various peoples, including the Israelites, is exemplified by his hospitality in Parshat Vayeira. The conceptual key to this reading and comparison is Lewis Hyde’s notion of “gift exchange,” particularly with respect to art, which differs from market exchange in its spiritual underpinnings as well as the bonds formed through gifts. This notion of a gift economy was actually first developed by Marcel Mauss in his anthropological study of pre-modern societies also titled The Gift. A review of the Avraham narratives in light of Mauss’ broad conception of gift exchange reveals aspects of Avraham and his legacy that seem to be in tension with the expansive Whitmanian figure we encounter in Parshat Vayeira. [t]he taonga or its hau…is attached to this chain of users until these give back from their own property, their taonga…the equivalent or something of even greater value. This in turn will give the donors authority and power over the first donor, who has become the last recipient. This is the key idea that…seems to dominate the obligatory circulation of wealth, tribute and gifts. As Sarah pointed out last week in the context of Avraham’s hospitality, the Biblical text is acutely aware of the nature and implications of gift exchange. However, as some comments on Sarah’s blog post noted, analyzing the totality of the Avraham narratives through the prism of gift exchange yields a more complex picture than the Whitmanian figure Sarah described. Indeed, a close reading of the episode recording Avraham’s purchase of the machpela cave in this week’s Torah portion reveals a “narrow” Avaraham who consciously avoids gift exchange in order to close himself off from his neighbors. Following the matriarch Sarah’s death, Avraham seeks to acquire of a burial plot for her from Ephron ben Tzochar, a landowner in Chevron/Kiryat Arba. The inhabitants of the region are described by the text as “בְּנֵי-חֵת” (the sons of Chet) members of a specific pre-modern clan of the sort that may have engaged in gift exchange as described by Mauss. When Avraham asks for a burial plot he simultaneously emphasizes his foreign-ness from this clan (“גֵּר-וְתוֹשָׁב אָנֹכִי עִמָּכֶם; תְּנוּ לִי אֲחֻזַּת-קֶבֶר עִמָּכֶם, וְאֶקְבְּרָה מֵתִי מִלְּפָנָי”). The Hittites respond invitingly, highlighting Avraham’s status as an honored representative of a foreign god in their midst, and offer to give him his choice of burial plot from among each of theirs. 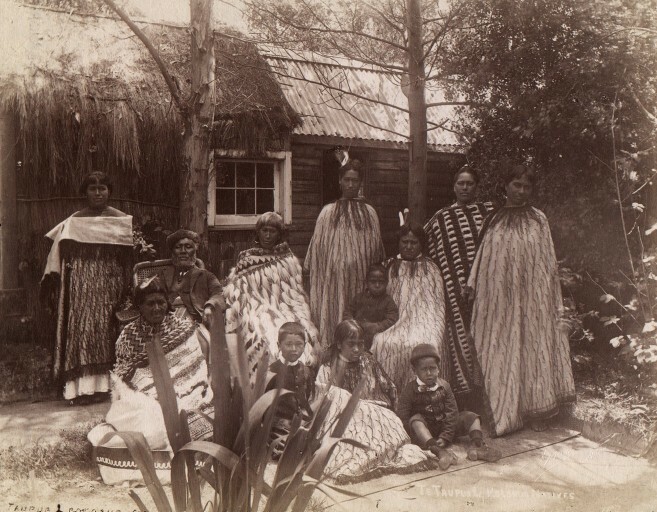 The burial plot is an example of the sort of property called taonga by the Maori – that is, significant property associated with the soil and the clan. (RaDaK, in his commentary on the relevant verse, claims that “קֶבֶר,” often translated generically as simply a burial plot, specifically refers to a cave owned by a single family containing multiple plots for the bodies of individual family members.) The Hittites are offering Avraham a place in their society-family via entrance into a gift exchange. Avraham’s rejection of this offer is instead consistent with his self-definition as a resident foreigner (“גֵּר-וְתוֹשָׁב”). He bows toward the Hittite elders and asks that they intercede for him with Ephron. This intercession may be necessary because of Avraham’s pair of unusual requests, which amount to a rejection of the earlier offer of a burial plot as a gift: he desires a specific burial plot – the entire machpela cave – and he intends to purchase it “בְּכֶסֶף מָלֵא” or “for full value.” Avraham here breaks the norm of being bound to be a recipient of gifts as well as a giver. Moreover, he is attempting to establish his own unique possessive claim to the machpela cave by purchasing it at full market price. Avraham intends for this market exchange to leave him free and clear of any residual legal obligations toward the Hittites – unlike the receipt of a gift, a market purchase will not insert him and his progeny into their chain of spiritual bonds. The locus of the narrative then shifts to an exchange between Avraham and Ephron, with the elders and the rest of the public present to witness the negotiations. 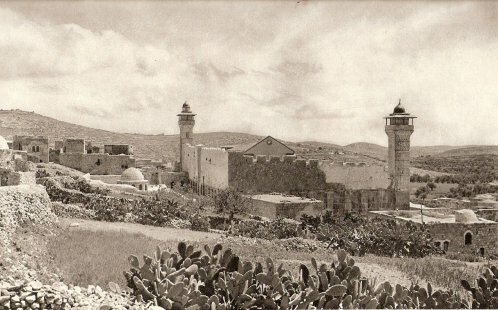 Ephron, perhaps attempting to salvage Avraham’s participation in a gift exchange, offers not only the machpela cave but the entire field in which it sits as a gift. Avraham then rejects this offer, and again responds with a request to purchase the land in order to bury his dead there. Ephron names his price of 400 shekels of silver, adding “בֵּינִי וּבֵינְךָ מַה-הִוא” or “what could such a sum really mean between us?” Through this rhetorical device, Ephron intends to undercut the legal implications of the sale even as a significant amount of money is about to be exchanged for the land. The narrator of the text, however, ultimately underscores Avraham’s purchase of the field in exchange for currency widely accepted in marketplace transactions (“עֹבֵר לַסֹּחֵר”). The text also emphasizes that the land is transferred “לְאַבְרָהָם לְמִקְנָה” or “to Avraham as a possession” – that is, as land over which Avraham has acquired legal title through market exchange. Despite Avraham’s rejection of gift exchange in the above episode, his descendants are meant to incorporate gift exchange within their own social system according to various commandments recorded in the Biblical text. As Hyde points out, in some of these commandments, such as the prohibition on charging interest to Israelites exclusively, gift exchange principles are employed by Biblical law to ensure that the Israelites remain economically and socially distinct from surrounding peoples over time. Other commandments, such as the commandment to bring bikkurim (or first fruits) on a pilgrimage to the Temple, employ gift exchange principles to reinforce the unique Israelite historical consciousness and Monotheistic worldview within Israelite society. Although here Biblical law incorporates gift exchange principles to serve narrow national purposes, the worldview being reinforced within the national group is itself expansive in the extreme. Immediately after Avraham’s refusal to enter into gift exchange so as to avoid legal and spiritual entanglement with Hittite society, the Biblical text describes his anxiety over the possibility that his son Yitzchak will marry a Cannanite woman. After Parshat Vayeira introduces us to the expansive Whitmanian aspects of Avraham, we are presented in Parshat Chayei Sarah with an Avraham with a very narrow outlook when it comes to concerns for soil and clan – matters that relate directly to his legacy and the eventual establishment of the Israelite nation as a distinct socio-ethnic entity. However, this narrowness is ultimately conceived of as serving expansiveness. The Israelite self-conception is grounded in both a unique covenantal relationship with God and a national mission to spread ethical Monotheism to the other nations of the world. 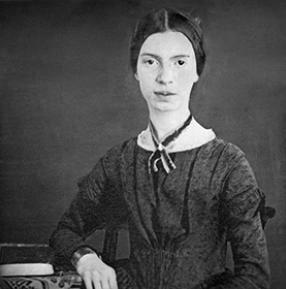 In her short poem beginning with the line “I dwell in Possibility,” Emily Dickinson explores the tension and interrelationship between expansiveness and narrowness. Dickinson is interested in the question of whether the poetic mode, with its stylistic restrictions, is appropriate for capturing the transcendent. Dickinson approaches the issue playfully, but in the poem’s final lines, “The spreading wide my narrow Hands / To gather Paradise – ” she alludes to the paradox that grasping at the infinite necessarily requires a distinct and contained point of departure. Her metaphor for the act of writing poetry is a house. This house may incorporate many windows and doors, even a roof open to the sky, but this structure is necessary as a firm foundation from which her imagination can sprout forth. Dickinson’s individual house of possibility can be likened to the Israelite/Jewish national home – grounded in specific soil and a unique identity, with its narrow collective hands spread toward the heavens.